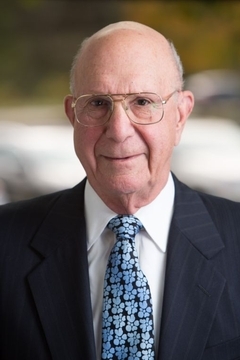 Bernard Berkowitz concentrates his practice in estates and trusts, tax and corporate law. Over the course of his career, he has earned a reputation as a leader in New Jersey in the representation of charitable organizations and counsel on planned charitable giving. He represents entities, including public charities and private foundations, and advises clients on charitable giving, including setting up foundations and charitable trusts. He also advises his clients, many of whom he has represented for decades, in all aspects of their estate planning, including business succession. Bernard was a contributing author of Mertens Law of Federal Gift and Estate Taxation. He is a member of the New Jersey and New York Bars and the Essex County, New Jersey State, New York City and American Bar Associations. In addition to his professional activities, Bernard has been active in numerous civic organizations. Currently, he is a board member of Valley Hospital Foundation. He also serves on the boards of several private foundations. Bernard was a founder of the Community Foundation in 1979, and has served as its president. The mission of the Foundation, which has charitable assets exceeding $230 million, is to connect donors to organizations, issues and communities important to them, and to help families, businesses and foundations achieve the best outcomes from their giving. Bernard is past president of the United Way of Essex and West Hudson and the Whole Theatre Foundation of New Jersey. He has served on the boards of the Montclair Art Museum; the YMCA of the Oranges, Maplewood, West Essex and Sussex County; Orange Orphans Society; and Bloomfield College; on the Advisory Board of Cornell Law School and as Chairman of the Committee of Managers of Llewellyn Park. He has been peer review rated as AV Preeminent, the highest rating for professional excellence, by Martindale-Hubbell and is a U.S. Army Veteran of the Korean War, having received a Bronze Star for his service.